Blu-Ray Review: The City Of The Dead (1960, AKA Horror Hotel). 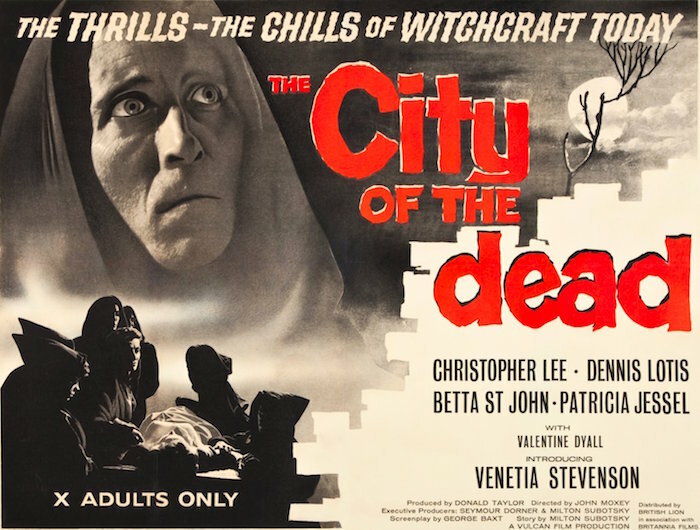 John Llewellyn Moxey’s The City Of The Dead (1960), under its American title Horror Hotel, was one of those movies I bumped into a lot on TV as a kid. If I came across it, I’d always watch it through to the end. The sets, the lighting, the fog — there’s something about this movie that really gets under my skin. It’s a really simple story: a college student (Venetia Stevenson) travels to Whitewood, Massachusetts, for some research on 17th-century witches (at the urging of her professor, Christopher Lee). That research ends up being a bit more primary than she had in mind, as she discovers that Elizabeth Selwyn (Patricia Jessel), who was burned at the stake in 1692, is running the Ravens Inn under the name Newless. Why do witches, vampires, etc. take on a new identity by simply reversing their last names? 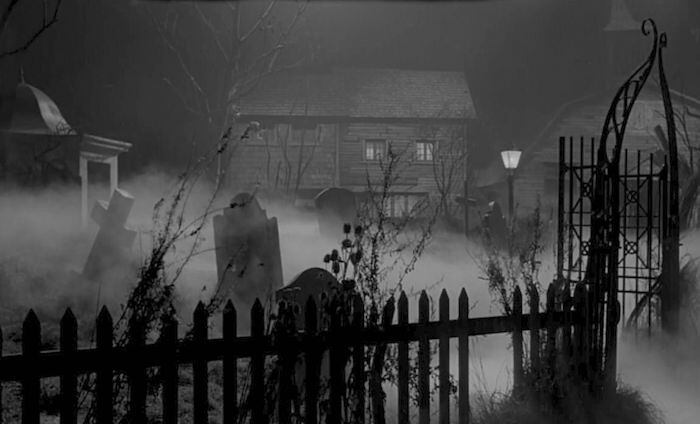 The City Of The Dead is often compared to Hitchcock’s Psycho (1960), with it assumed that Moxey ripped off Hitch. But while there are similarities — a pretty young woman heads out on her own, checks into a creepy hotel/motel and something bad happens midway through the picture — The City Of The Dead began production before Psycho. As Horror Hotel, however, it hit theaters in the States after Hitchcock’s film debuted. 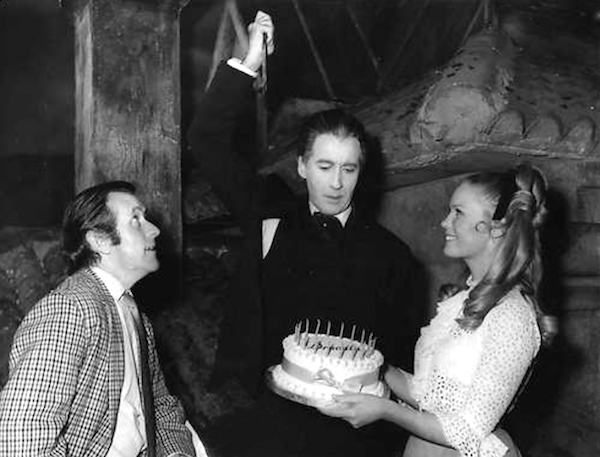 By the way, this picture is an early effort from the folks who later became Amicus Productions and made horror films throughout the 70s. It couldn’t be more obvious that Whitewood is a soundstage, not Massachusetts. Some see that as a sign of its limited budget, others as part of the stylized, atmospheric look. Whether it’s due to aesthetics or economics, to me it’s one of the picture’s greatest strengths. No other movie looks like this. Desmond Dickinson’s camerawork is terrific. You can see all this plainly on the new Blu-Ray from VCI, which makes use of original material from the British Film Institute. There’s been some criticism of the framing (1.78 vs. the UK version’s 1.66; it probably ran 1.85 in the States), but the film’s never looked better on video. The contrast seems perfect, accommodating both the fog and, say, headlights in the same shot, without either being compromised. Audio is fine, doing justice to Douglas Gamley’s creepy score. And there are a slew of extras, from multiple commentaries to the trailer to the shorter US cut of the film (Horror Hotel). No matter how shoddy it might look, I’d recommend The City Of The Dead. This Blu-ray makes it absolutely essential for fans of 60s horror. Blu-Ray News #21: The Land That Time Forgot (1975). As a kid, I ate up The Land The Time Forgot (1975) and At The Earth’s Core (1976). 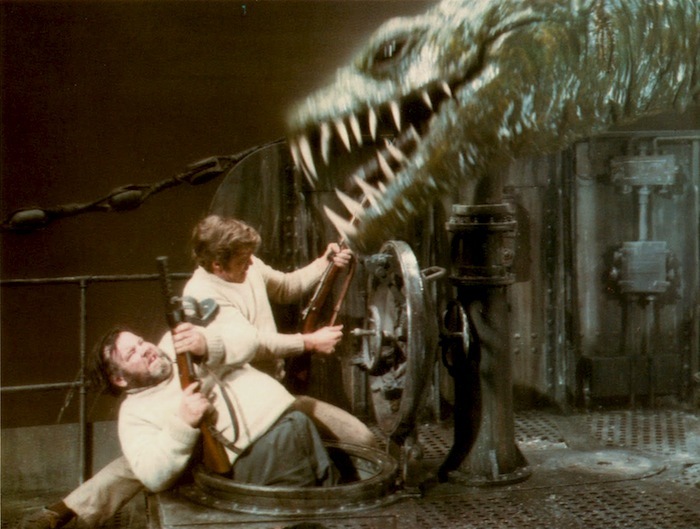 Submarines, machine guns, giant drills and lots and lots of cheesy monsters — absolute perfection dumped onto a strip of celluloid. It’s like Amicus Productions and AIP had settled on a target market that consisted solely of me. But, of course, it turns out there were lots of kids like me, simultaneously rotting our brains all over the world. With the Kino Lorber Blu-ray coming in June, which I’m sure will be glorious, we can all retire the Ken Films black and white Super 8mm thing and the Midnight Movies DVD. I can’t wait. Blu-ray News #10: Tales From The Crypt (1972) And The Vault Of Horror (1973). 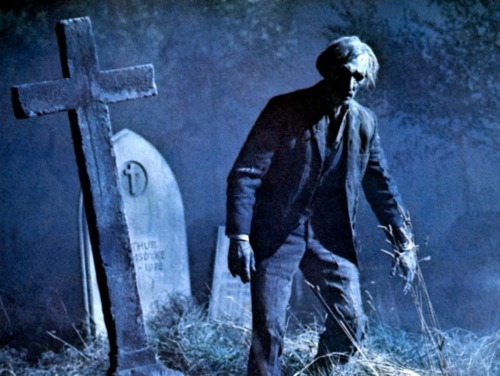 With Tales From The Crypt (1972), one the greatest cinematographers who ever lived, Freddie Francis, directed a handful of stories from those wonderful EC comic books. It did well, so Amicus put together a similar picture, Vault Of Horror (1973), this time directed by Roy Ward Baker, who did the best Titanic movie, A Night To Remember (1958). Vault Of Horror was at some point re-released as Tales From The Crypt II. Whatever you want to call them, they’re both coming to Blu-ray as a double feature from Scream Factory. And they’ll be here in time for Christmas. This one adapts five EC stories as a group of strangers wind up in a mysterious crypt and learn how each of them died. It does a good job of capturing the lurid EC feel. Francis makes sure we have plenty of strong images — like the biker skeleton and Peter Cushing coming back from the dead (below), and they’ve been stuck in this 70s monster kid’s head for over 40 years. Good stuff. This one’s not quite as stylish as Tales From The Crypt, but it’s a solid anthology film. The fact that they stuck to actual EC stories assures you of icky, creepy fun. And Terry-Thomas is always worth watching. This Blu-ray was originally announced for release around Halloween, but Scream Fatory held it back in order to secure the original uncut version of Vault Of Horror. The new date is December 2.